Learn the Periodic Table of Elements help all ages to learn about the Periodic Table of elements in a fun way. Referring an intuitive, colorful, tabular-based design, learners master the key facts and stats of each chemical element, metal or gas. 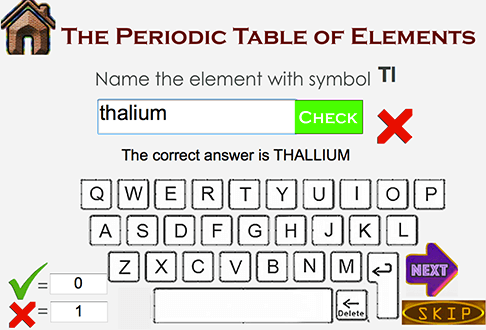 Learners can choose between learning about each chemical element details or taking a quiz to test their knowledge. In all cases, instruction is provided in a fun, visual format utilizing an intuitive touch interface. Designed for all ages. Learn the Periodic Table of Elements in interactive way develop foundational scientific knowledge about the chemical elements, metals or gas. STUDY:: Quick study technique using flash cards. Chemical element atomic number, abbreviation, atomic weight, density, melting point, boiling point, each element details and an example of its usage are clearly displayed on each element flash card. This trains and reinforces the element location and information for the learner with help of large table. 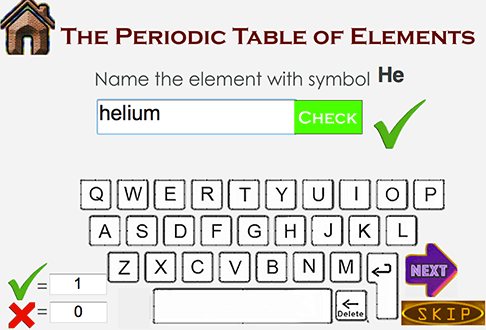 INTERACTIVE QUIZ:: Learner can put their knowledge to test with the all new Learn the Periodic Table of Elements Quiz! Play through 3 different modes! QUIZ - SYMBOLS:: Abbreviate and locate symbol in periodic table from its name. 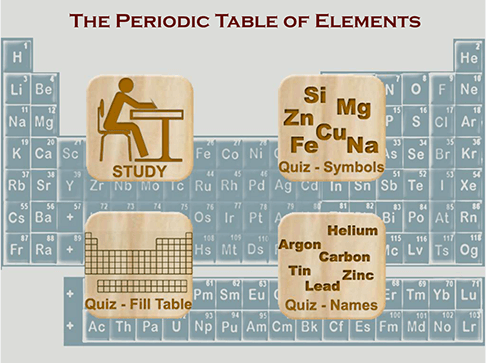 QUIZ - FILL THE TABLE:: It is puzzler to tap or click the elements around and put them together which teach student atomic number, name, symbol and location of chemical elements, metals and gases in periodic table. Filling the table makes learning about chemical elements fun! 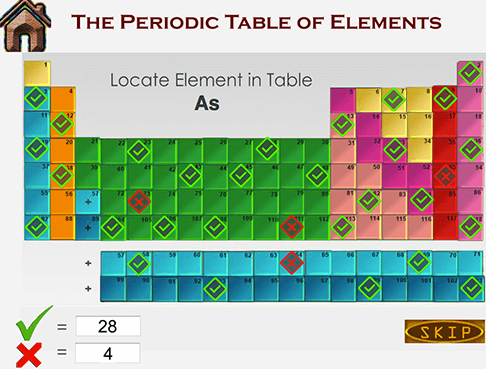 Watch the elements allocated to slots of periodic table in this colorful and dynamic game! Animated graphics for easy remembrance. QUIZ - NAMES:: Name the element from its symbol. •Practice Mode and Quiz Mode for learning Periodic Table of Elements. •Time-saving ways to learn about each chemical element; A wonderful education game in preparing for chemistry class test, chemistry bee competition or leisure learning. •Periodic Table of Elements is educational which is also fun to play. •Education learning game for all ages. Feature Learners can choose between learning about each chemical element details or taking a quiz to test their knowledge. In all cases, instruction is provided in a fun, visual format utilizing an intuitive touch interface. Practice Mode and Quiz Mode for learning Periodic Table of Elements. 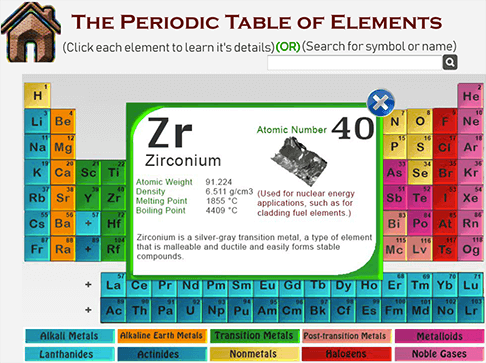 Periodic Table of Elements is educational which is also fun to play.